Watch this touching clip of Peter Capaldi talking to a fan while they were filming in Cardiff last month. He shows her a picture of him, Jenna Coleman, and Matt Smith. Mr. Capaldi told her that they said it's OK for him to be the Doctor. And that he hopes she would think it's OK for him to be the Doctor, too. 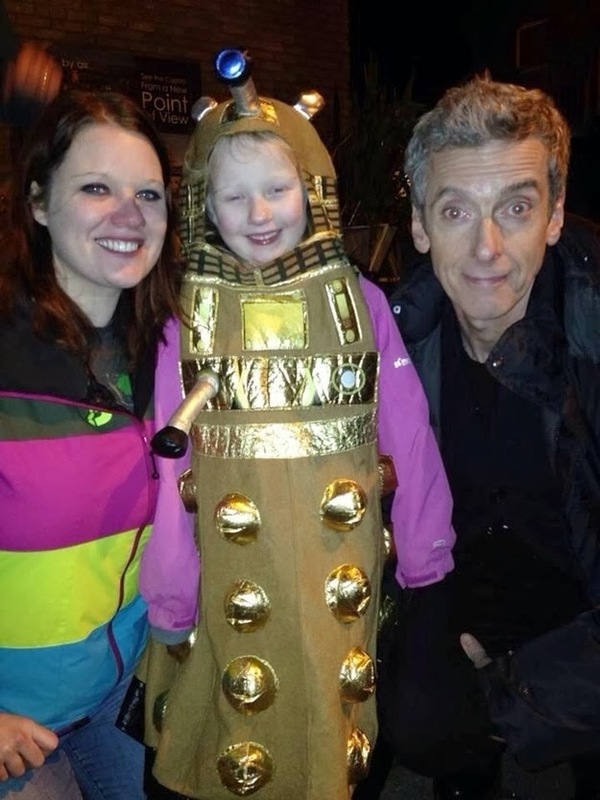 Her aunt posted this later on tumblr: "Hiya, the little girl in the dalek outfit is my niece, she’s autistic and was finding it difficult coming to terms with the regeneration as Matts doctor is her imaginary friend, she was worried PCap wouldn’t want to play with her. We are very ecstatic that he took time to reassure her. He’s brilliant!" You can read more on the family blog.